Scott Kubly is named the new director of SDOT. Streetblog published an article on Kubly’s time in Chicago. The City of Redmond recently received two awards, the Governor’s Smart Communities Award and the Puget Sound Regional Council (PRSC) award, for its efforts in promoting smart growth planning and projects. Artists and volunteers are painting a mural in the Wayne Tunnel of the Burke-Gilman Trail in Bothell. Commute Seattle has launched a contest called Creative Commute. The contest asks Seattle commuters to share what they love about their commutes via digital media. Despite an increase in density and activity, Arlington, Vermont is seeing less traffic due to high density and mixed-use planning. 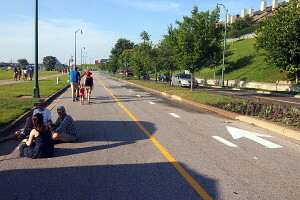 Tennessee became the first southern state to endorse NACTO’s urban street design guide. A new report released by the Safe Routes to School National Partnership titled Buses, Boots, and Bicycles: Exploring Collaboration Between Safe Routes to School and School Busing Professionals to Get Children to School Safely and Healthily looks at student transportation and proposes ways that Safe Routes to School professionals and transportation directors can collaborate. 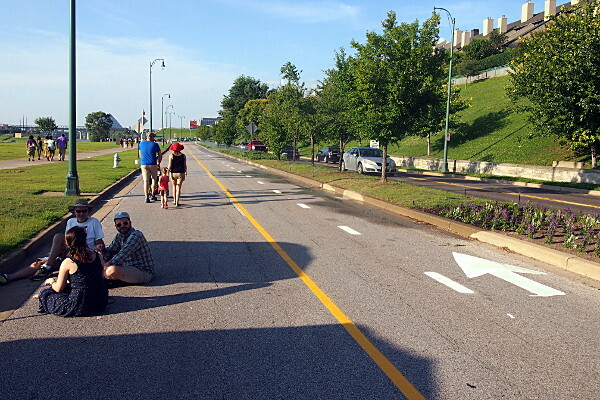 Memphis, Tennessee just opened up a car-free corridor along the Mississippi River.